Mark’s focus will be on helping customers meet their current and future onsite power generation needs. 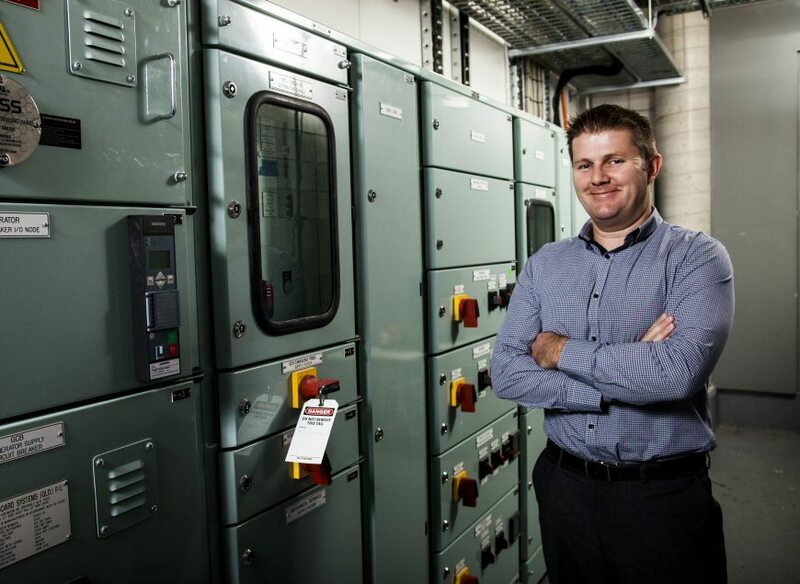 His efforts build on AE Smith’s expertise and in-house resources delivering turnkey cogeneration and trigeneration systems at landmark buildings around Australia. Some of which include King George Central and Queensland Children’s Hospital, both in Brisbane, and 567 Collins Street in Melbourne. “It was clear this new role presented a great opportunity to combine all of AE Smith’s design, engineering, construction and facility maintenance expertise and provide our customers with a single source solution that utilises the full depth of AE Smith’s expertise and capabilities,” adds Mark. Originally from the UK, Mark brings over 17 years building services and engineering experience to this new role. Importantly, the last seven years in construction management of sustainable buildings including 5 and 6 star Green Star projects with greater than 5 star NABERS performance requirements – where cogeneration systems typically play an integral role. It’s his time at Leighton Contractors that also gave him first hand insight into AE Smith’s approach by working on shared projects such as HQ in Brisbane. Here the 6 star Green Star design, installation and fitout of Leighton’s offices at HQ included a cogeneration system installed by AE Smith and now, significantly, also serviced and maintained by AE Smith. “As a customer of AE Smith, I came to know and appreciate the ‘AE Smith way’ of doing business and it was an approach that I admired,” says Mark. It’s these advantages Mark believes he can harness in his new Energy Services role as National Manager to make life easier for customers. “AE Smith are always very collaborative in the design process. You might think being ’collaborative’ is standard practice in coming up with the best onsite power solution. But I assure you, it is not. AE Smith’s CEO, Andrew Permezel admits the insights Mark transfers from his many years experience overseas and at Leighton Contractors brings an edge to this newly created national position. “We’re excited to have Mark on board. His expertise and experience are unquestionable. But the understanding he brings from the point of view of both contractor and customer delivering turnkey onsite power generation solutions that actually work is unique. Mark raises to a new level the role AE Smith can play in delivering practical solutions our customers can trust,” says Andrew. Pic: GE Jenbacher type 3 gas engine installed by AE Smith at King George Central. King George Central, Brisbane. Completed in 2012, the 28,000 sqm development located in Brisbane’s CBD is a 6 Star Green Star building targeting a 5 star NABERS Energy rating. AE Smith provided a full turnkey onsite cogeneration solution at King George Central including generator, heat recovery, absorption chiller, AE Smith control system for all safety systems and grid synchronisation.